Does your dream job include being social and making people happy? Do you have an artistic eye for detail? 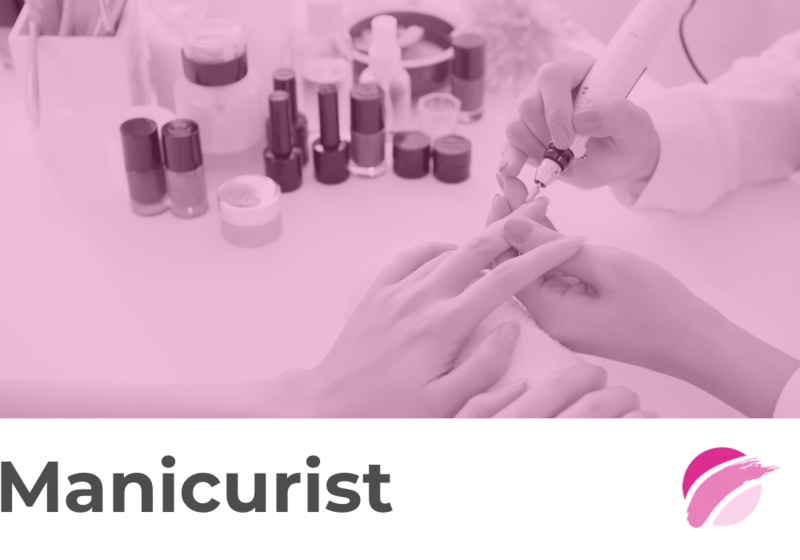 Becoming a manicurist or nail technician just may be your career calling! What Is The Average Salary Of A Manicurist? The average manicurist/pedicurist makes a median salary of over $11 per hour (or over $23K annually) according to bls.gov. The median salary doesn’t account for tips, which can double your income. Most manicurists work full time, but some choose to work part time. The job outlook for a nail technician or manicurist is expected to grow 13 percent (over 16K new positions) between now and 2026, which is faster than the average of all occupations. Consumers consider manicures and pedicures a low-cost luxury, so people are able to indulge in your service many times per year. It’s also a recession-proof job for that very same reason. How Long Does It Take To Become a Manicurist? Each state has varying entry requirements for manicurists, so check with yours before enrolling in one of the many excellent accredited nail technician programs. And yes, it’s important that the cosmetology school you decide to go to is accredited because otherwise, you won’t be able to sit for the licensing exam. Your program will last anywhere from 6 month to two years. You will have to take and pass your state boards. You’ll be tested on both your written and hands-on knowledge. Try out some practice questions from the state board practice exam. Once you complete all your state’s requirements, you’ll be able to work as a manicurist in spas, salons, or as a self-employed nail technician. What Do Manicurists Do All Day? Most likely, you’ll be working a full-time schedule giving your customers on-point manis and pedis. But, that part is obvious, right? So, what else can you expect to do when you’re a nail technician? If you own your own salon, or you’re self employed, then you’ll be managing all your product ordering and paperwork. You’ll be hitting the social media channels, showing off your handiwork from the images you take using your smartphone. Building your clientele will take some time, and you’ll need to work on constantly promoting yourself. Plus, all the hand and foot grooming services you provide to your clients—you’ll be busy! Many cosmetology schools offer courses with classroom and hands-on nail technician training as part of their broader cosmetology curriculum. Other training programs are exclusive to nail technicians. Your training as a nail technician will include basic manicuring and artificial nail techniques, nail technology, infection control, sanitation and nail diseases. You will also learn business management and tax laws related to your field. Deciding to become a manicurist can offer you a job filled with freedom, flexibility, and extreme satisfaction. You will be sitting a lot, so don’t forget to take care of you, too!